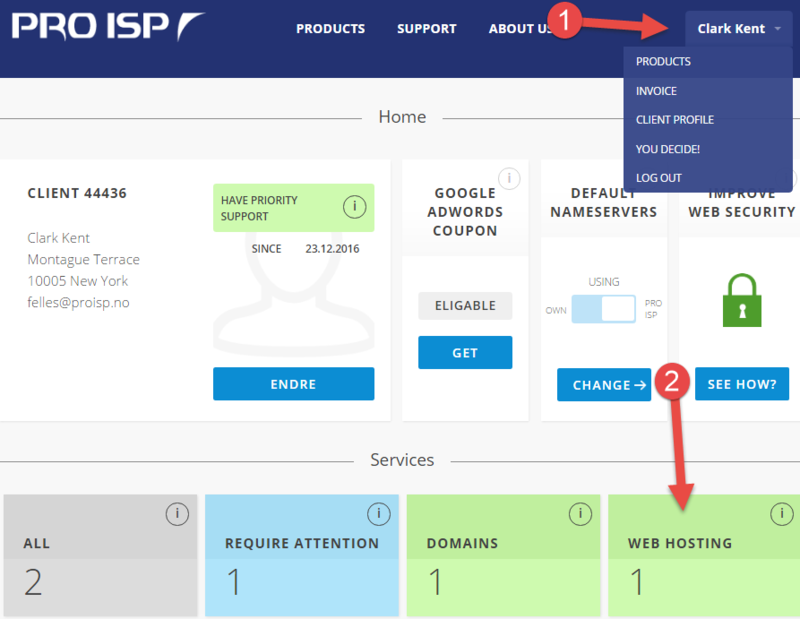 This guide shows how to change server for your web hosting account with PRO ISP. 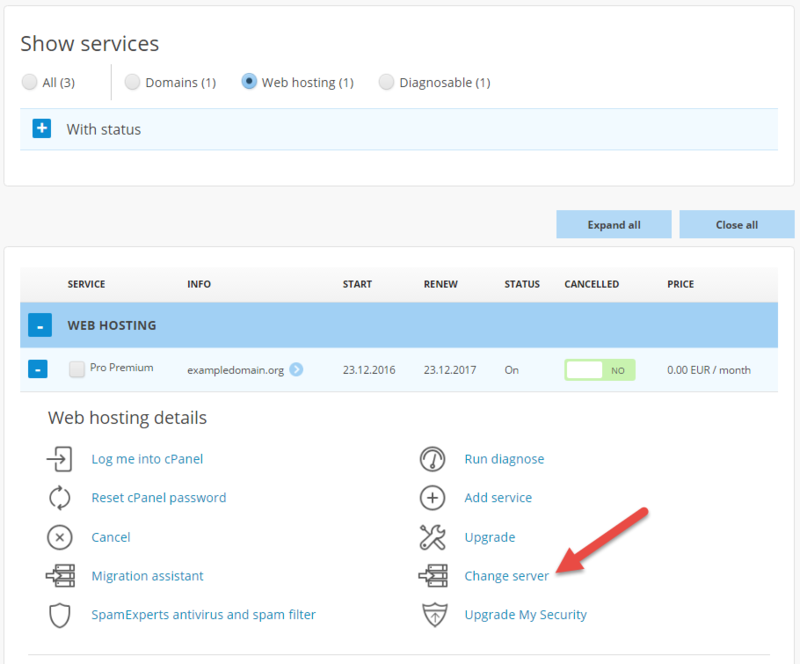 If you have Pro Medium, Pro Premium or Enterprise you can set up migration of your web hosting account to a different server for free. You can choose between LiteSpeed, Premium or Enterprise server depending on which package you have. 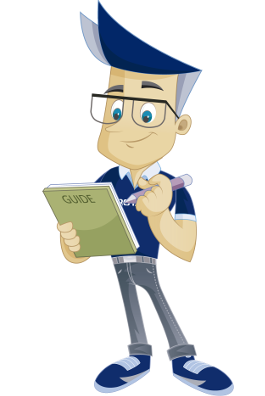 This guide assumes that you have already logged in to the customer pages for your customer number where the web hosting account you want to switch server for is located. Choose "Change server" for wanted web hosting account. Read "About the transfer process" thoroughly. 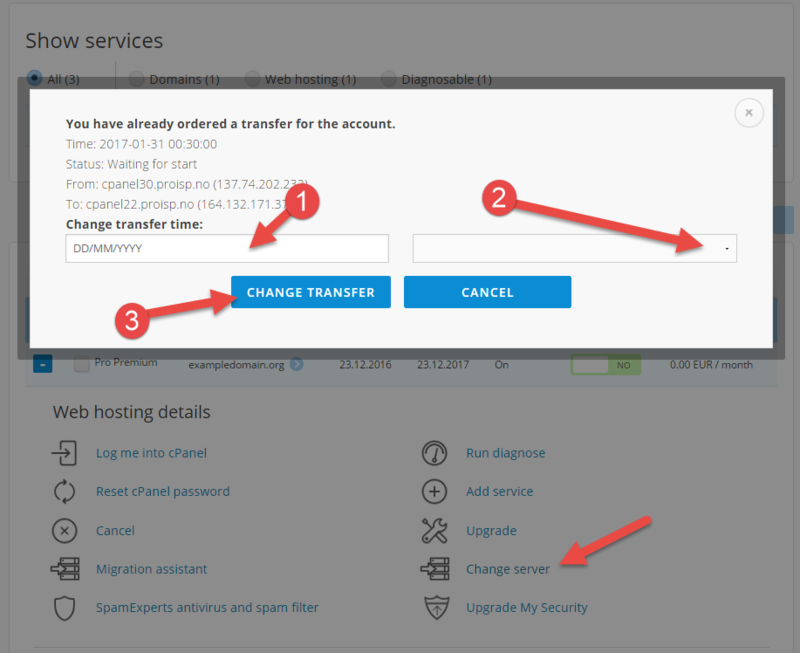 We recommend that transfer is done during night, since there will normally be less acitivity on most websites at that time. Choose date for wanted transfer time. 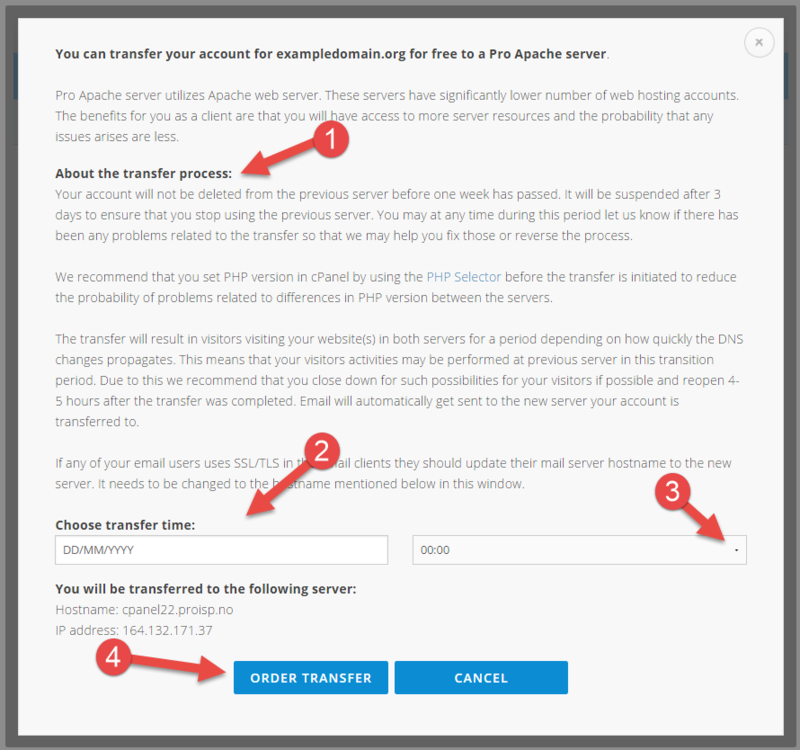 If you want to change the time for transfer after ordering, you can easily do this yourself. We have now been through how you can easily change server for your web hosting account.